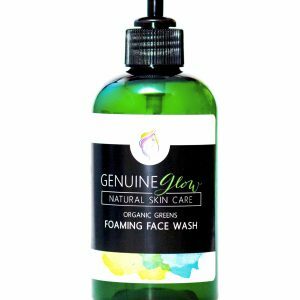 A liquid facial moisturizer designed to provide your skin with the necessary nutrients it needs for a glowing, healthy complexion. As a natural free-radical fighter, Day Glow will transform the skin, stimulate biological activity and promote the growth of new skin tissue while working to keep existing cells healthy. It’s suitable for sensitive skin and will not clog pores. Contains the core vitamins and nutrients our skin needs to function properly to reveal a healthy and beautiful complexion. 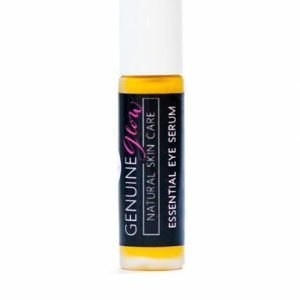 A topical multi-vitamin formula that treats, heals, hydrates, and protects the skin. Without creating a greasy feel or unwanted shine, Day Glow absorbs deep into the skin, allowing the antioxidants and vitamins to nourish, moisturize and create healthy skin, giving you a natural glow. Jojoba: A deeply moisturizing liquid that is rich in antioxidants and Vitamin E. Will not clog pores. Mimics skin’s own sebum to regulate oil production. Rosemary Oil: Stimulates biological activity and cell growth while rehydrating and keeping skin firm and elastic. Contains nutrients such as iron, calcium, vitamins and antioxidants. Reduces the appearance of scars and spots and has disinfecting and antiseptic properties. Using your fingertip or the provided dropper, apply a small amount of Day Glow onto clean skin and allow the moisturizer to absorb. Follow with makeup (if desired). Although it has been created to be the perfect daytime formula, it is suitable to use morning and night. You’ll notice a little goes a long way, so use sparingly at first and add more if additional moisture is needed. I use Day Glow morning and night. It’s helped my skin incredibly. I have less breakouts and I definitely see a good ‘glow’ when I look at myself. I’ve recommended this to so many of my friends and family. Great smell too! This was given to me as a gift. It’s does exactly what it says…like a multi-vitamin for your face. Helped clear my breakouts and absorbs well. My skin definitely looks better and healthier. I’ve been using this product for over a year. I use it morning and night. It makes my skin look better than any other moisturizer around. The very best moisturizer. I don’t think I could use anything else after using a liquid moisturizer for so long. You will legitimately glow. I love Day Glow! Natural brightening, highlighting, moisturizing. I don’t think I could go back to regular moisturizer or a cream after feeling how light this is. This has a really smooth texture and finish. Doesn’t feel like you have anything on your face and it feels fresh and clean. 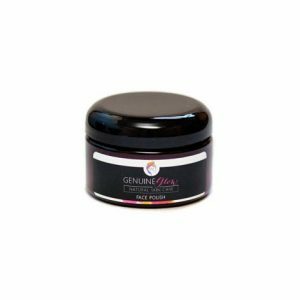 I own a skin care and beauty boutique and was introduced to Genuine Glow at the CEW Beauty Awards. They were nominated for best new Indie Skin Care brand. I purchased Day Glow the day after the event and fell in love. I recommend their products to most of my clients and customers. I love the fresh approach to beauty and can attest my skin has never felt or looked healthier. I now rave about this skin care and I couldn’t live without this product now.